THE Royal Welsh Agricultural Society have announced a change to the winner of the sheep Champion of Champion awards at last week’s show. In a statement issued on Friday (July 26) the society said: “Following information received after the competition, it has been established that exhibit number 6287, a Texel ewe lamb, exhibited by D. N. Bennett and Son was not eligible to be shown. Consequently, the reserve champion, a Beulah Speckled Face ewe from A.D. and E.E. Richards, Pumsaint, has been elevated to supreme champion. In order to be eligible to enter sheep at the show, every exhibitor must be a member in their own right of their respective breed society. The society received two entries from the Bennett family, which were entered under two separate exhibitor names. Unfortunately, one of those names, D. N. Bennett and Son, was not registered as a member of the Texel Sheep Society which is in breach of the eligibility rules. After close of entries the Royal Welsh Show sent the Texel Sheep Society a list of entries for confirmation of eligibility. 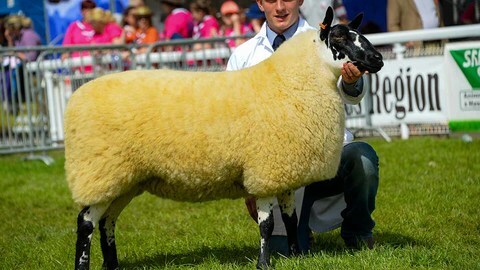 Society chief executive John Yates said: “At that time the Society checked the list of entries and informed the Royal Welsh Show organisers that the Bennett family only had one flock registered with the Society. Despite receiving this information from the Society the Royal Welsh Show chose to allow all of the Bennett family’s entries to proceed to judging." Mr Yates said stripping the Bennett family of the interbreed title was an unfortunate turn of events bearing in mind that the show could have acted sooner on the information received from the Society, but chose not to. “We respect the Royal Welsh Show in applying their rules, but wish to make it clear this situation could have been avoided had the show acted upon the information it received from the Society earlier in the year."